If you intend to purchase a game and want to help support TenTonHammer at the same time then these Games Republic links are one way to do it! 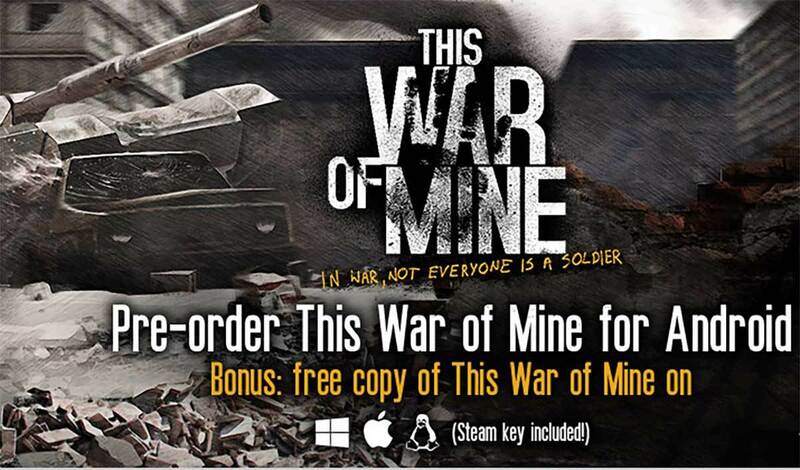 This War of Mine for Android is only $9.99 and you get a free copy of the game for your PC. You can purchase it by clicking here. Pillars of Eternity Hero Edition is 33% off. You can purchase it now for only $29.99. - Sale ends June 9, 2015. Pillars of Eternity Champion Edition is also 33% off (Save $20) and is only $39.99. - Sale ends June 9, 2015. Guild Wars 2: Hearts of Thorns is available for preorder at $49.99. The Deluxe Edition is $74.99. If you feel like punishing yourself, then Dark Souls: Prepare to Die is only $19.99. Any purchase supports not only your gaming habit, but also TenTonHammer. Thanks for gaming and thanks for thinking of us when you do!